This three-story, 54,780 s.f. 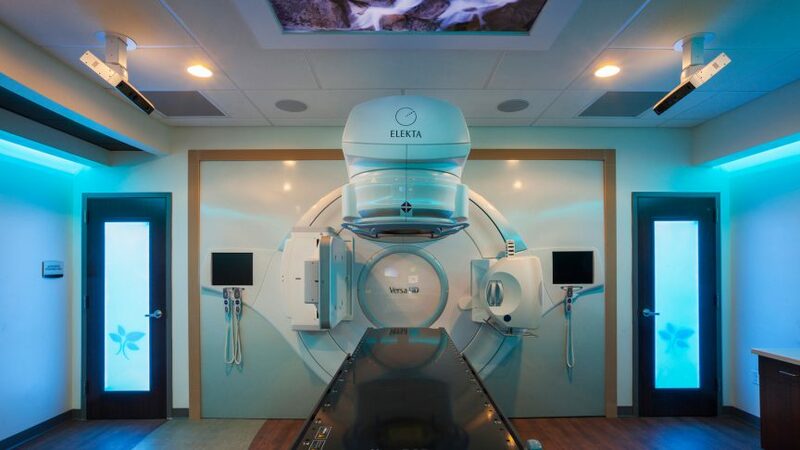 facility offers a comprehensive approach to cancer treatment consolidated under one roof with services that include radiation oncology, medical oncology, rotating specialists, and wellness programs. 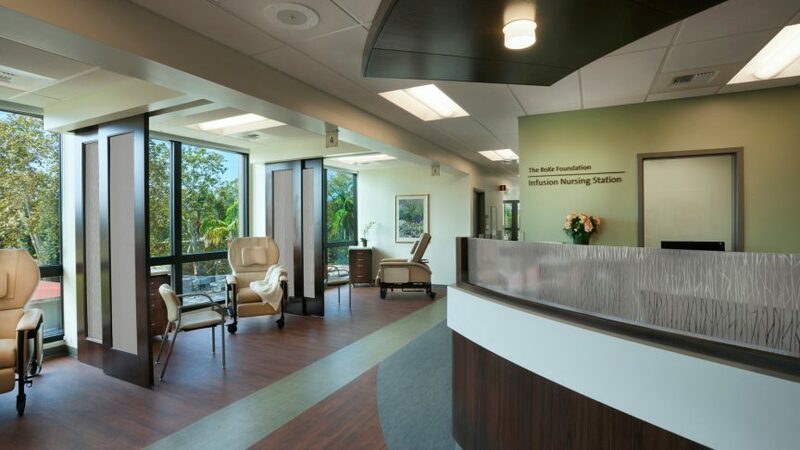 The funding for the new center was majorly a community-sourced philanthropic effort, which raised over $43 million in donations, and many of the design elements are tied to this community response, from the three custom-designed donor walls to many original art pieces hanging in the space, to denoting donors on wayfinding signage throughout the facility. 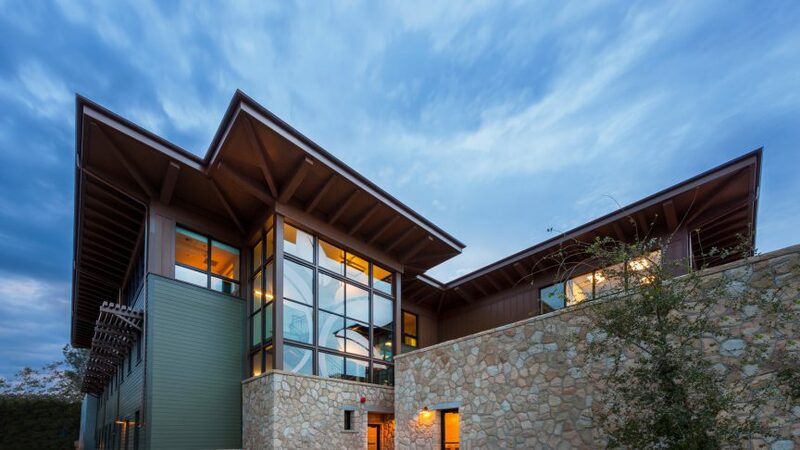 The design incorporates many regional materials and aesthetics into the space, as well as an overall “craftsman” architecture style in both interior and exterior spaces to make it feel comfortable and familiar to the locals of the area. 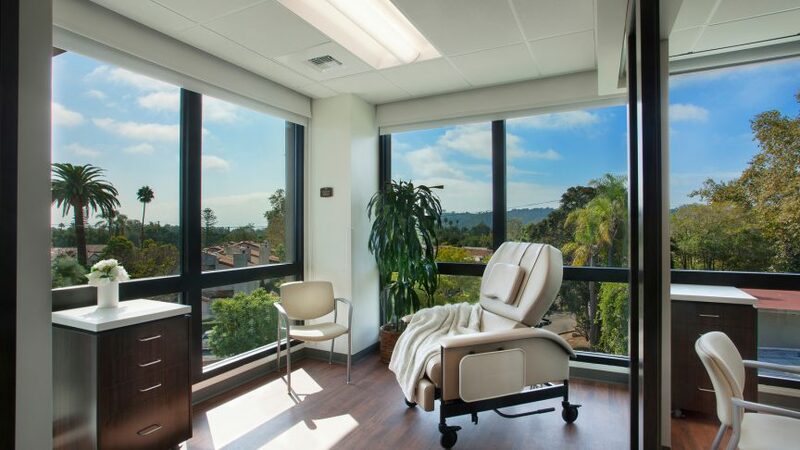 Many of the spaces are designed specifically to capture the gorgeous views of the surrounding area to promote healing through nature, and the exteriors are accented by a layer of Santa Barbara Sandstone, a unique sandstone indigenous to the regions. 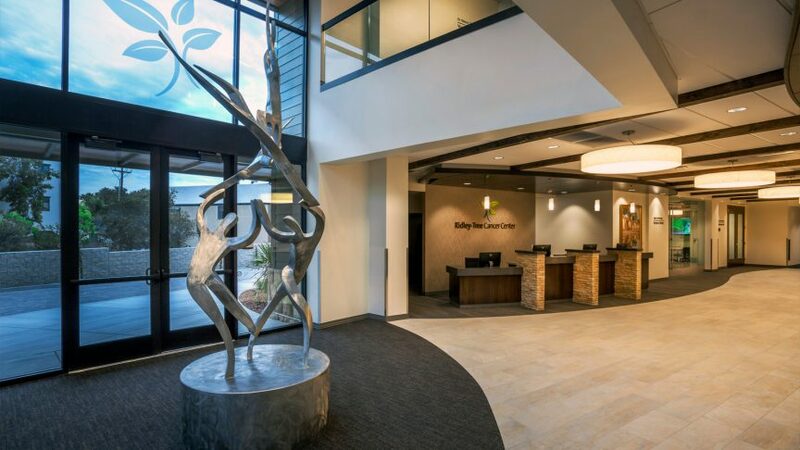 A sculpture was built to commemorate the building and patients, and hospital directors were debating if it may have to go outside as they were worried the size may be too large for the interior lobby space. We were able to quickly utilize VR technology to give them a 3D sense of what the space would feel like with the statue inside, and they were able to quickly make the executive decision to keep it inside as a result.